Whether you’re self-conscious about unsightly gaps between your front teeth or want to hide dull or stained teeth, dental bonding can correct and perfect your smile. Dental bonding or teeth bonding is a cosmetic dental procedure where a tooth colored resin is applied to teeth and then hardened using a special light which hardens and bonds the material. This ultimately “bonds” the material to the tooth and improves the overall appearance of your teeth. If you require teeth bonding, Dr. Kidess will create a color matched composite resin that seamlessly blends with your natural teeth colors. These composites are applied directly to the imperfect tooth, which is then hardened to ensure a long-term and comfortable fit. To prepare the teeth for dental bonding, Dr. Kidess may roughen the tooth’s surface to help the composite form a better bond. Dental bonding is one of the easiest and least expensive of the cosmetic dental procedures and is usually completed in a single office visit. 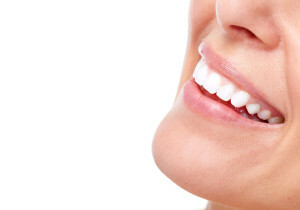 Alternatives such as veneers and crowns usually take multiple office visits. Dental bonding only requires the roughening of the tooth surface where crowns and veneers usually require more extensive grinding and shaping of the tooth. For dental bonding, dental sedation or anesthesia is usually not required. Although the materials used in dental bonding is stain resistant, it does not resist stains as well as porcelain veneers or porcelain crowns. The life of a dental bonding does not usually last as long as other dental restorations such as crowns or veneers. Dr. Kidess approaches each patient with a unique perspective, which ensures that all clients receive the personalized treatment they deserve. Dr. Kidess can ensure that your smile is beautiful and perfect again. To schedule a consultation with Dr. Kidess, contact our Scottsdale dental office at (480) 991-2290.